Suzanne Selfors is the amazing author of many totally awesome young adult books like Saving Juliet, Coffeehouse Angel and Mad Love. When I was given the opportunity to interview Suzanne I jumped at the opportunity! 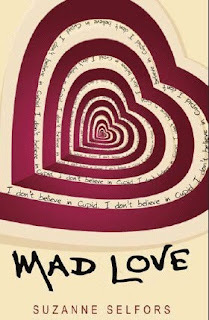 What inspired you to write Mad Love? I don't recall the exact moment when the idea popped into my head, but it rattled around in there for a long time. At first it took the form of an adult novel, but then I realized that the hero, Alice, needed to be a teen. So viola, I transformed the entire story. One thing that inspired me was my working relationship with two romance writers. 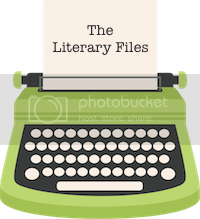 We were members of a writing group and I learned a lot about their genre during those years, and I came face-to-face with my own prejudices about the genre. I used to think it was "formulaic", simple to write, blah, blah, blah. The same kind of prejudices we children's writers have to deal with. Boy, was I a dolt! So I had fun with the romance theme in Mad Love. I highlight the sterotypes, but then reveal the truth- a novel is difficult to write no matter what category it falls into. Period! Did you always know that cupid was going to play a part in your love story? I'm crazy about mythology, especially Greek and Roman. I'd reinvented Hermes in my novel, Coffeehouse Angel, and I wanted to try my hand at another mythological character. Who better to pair up with a romance writer than Cupid? Hmmm. Maybe a bit in Alice's mother, the famous writer Belinda Amorous. Because writing keeps her focused and calm. I struggle with depression at times, and writing has always helped pull me out of it. Was there any character in particular that you had the most fun writing? Cupid. I dont' want to give away his story, but I loved creating him. He's very different from what most readers will expect. At least, I hope so. Did you always know that Alice's mom would have a mental illness? Yep. I did. I knew that from the very first paragraph. Usually when I write a novel, I know the set-up and I know the ending. But I rarely know what's going to happen in between. That's the adventure. I absolutely adore the cover, it's very hypnotizing! Did you have any input? It was designed inhouse and no, I didn't have anything to do with it. Except that they were kind enough to ask my opinion along the way, but really I've proven to myself that I'm not such a good judge of covers. So I leave it to the experts to decide. I'm glad you like it. Covers are very important. Was there any songs that you listened to while writing Mad Love? Of course I imagined it being turned into a film and so I would choose two songs for the soundtrack: Sam Cooke's version of Cupid, Draw Back Your Bow, love that song. And then for the final scene, (don't want to give any spoilers) I'd choose, This Little Light of Mine, I'm Gonna Let it Shine. 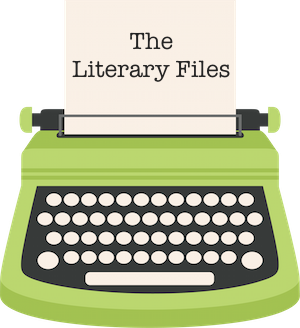 Is there any other writing projects that you're working on? I'm always working on something. In May, my next kids book comes out called Smells Like Dog. And right now I'm finishing the first draft of my next teen book, which will be out in 2012. I'm really excited about it. Thank you so much for stopping by Call Me Crazy Suzanne! Click here to go to Suzanne's website! Mad Love over at Amazon or Goodreads! Coffeehouse Angel at Amazon or Goodreads! Thanks to the awesome Bloomsbury, Call Me Crazy is having a Mad Love and Coffeehouse Angel Giveaway! Two lucky followers will be able to get their own copy of one of Suzanne's books! To enter the giveaway fill out the form below! Contest ends Thursday, February 24th 2011. I'm so sad I can't enter :( The book looks SO good! Great interview! The cover is very hypnotizing! OMG OMG OMG This looks so good. Great interview and thanks for the brilliant contest. Awesome interview! I love modern takes on mythological people/gods and goddesses, so these books sound fantastic! Thanks for the giveaway. I thrilled about this book. Especially because it deals with mental illness and depression. I wanna see how Alice handles the situation. Becky's Barmy Book Blog has awarded you the 'One Lovely Blog' Award. Congrats. Great Interview and thanks so much for the giveaway. Great interview! I haven't read these books, but they sound like fun! I love hearing these, "behind the scenes" stories. Thanks for posting this great interview. My TBR list is long enough as it is... but I'll have to make room for these.